She may be severe at times, but always offering a warm soft hug. Amazing patterns, so beautifully captured and processed. Strangely, it makes me want to lie down in the sand . . . So much to love here. The textures, the shadows, the possibilities of epic sand castles. Well spotted, great textures, and fascinating to see the sections you spotted and conveyed to us. Brilliant abstract. Stunning - worthy of a place in a National Geographic magazine. something feminine about this; love the minimal feel to this image! You've excelled yourself with this beautiful B&W Domenico. more from the desert - and stunning too. I love the description you gave here of the soft warm hug. less is more. Great pov and textures. Fabulous shot. What a fabulous shot Domenico, the textures, lines and shapes are all very appealing to my eye. @ghost13 Thank you very much! @jyokota Thank you, Junko. Not strange at all. I did it all the time lol! @craigwantsnack hahaha, epic sand castles I fear not... not enough water to keep the sand wet! @taffy Thank you so much, Taffy. 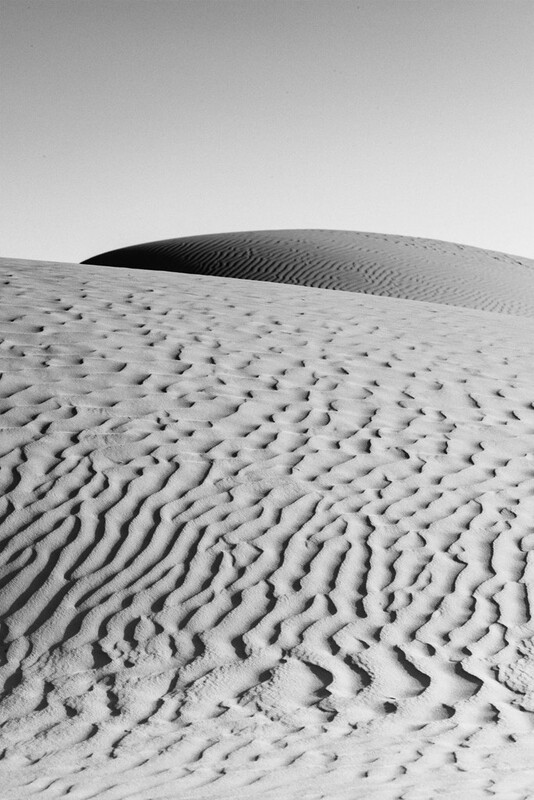 The desert was an exercise in composing and framing. @robz Thank you indeed, Rob! @hrs Thank you a lot, Helen! @jocasta Ohhh, too kind of you. Thanks! @overalvandaan Thank you very much, Saxa. Yes, the desert has feminine qualities. More to come! @vignouse Thanks a lot, Richard. I've long struggled if keeping them in color or converting in B&W. @fbailey Thank you very much! @seattlite Thank you a lot, yes, I learned that the lowest the better on the sand! @ingrid2101 Thank you a lot, much appreciated, from a master of landscape photography! @haskar Thank you very much! @golftragic Thank you so much, Marnie, they were for mine, too! @kklinck99gmailcom Thank you so much! Nice texture, lines and shapes. Love the texture/pattern. Nicely done! Fantastic capture. What a great place to practice the art of photographing. This is a true beauty, and so well composed. Great lines and textures, and I love the curves. @kmwilliams Thank you very much, Kate! @stray_shooter It was. I want to go back; sadly, the Sahara is now definitely off limits. Need to find another desert! @mona65 Thank you, Mona, too nice of you! the low PoV makes the dunes very powerful. Fav. @joysabin They are! Thank you very much also for the fav!